Jeff Hardy, Mandy Rose and Sonya Deville visited the Freedom Park Command Center to meet 200 first responders to the California wildfires during Survivor Series Weekend in Los Angeles. The Superstars presented WWE replica titles to the first responders. 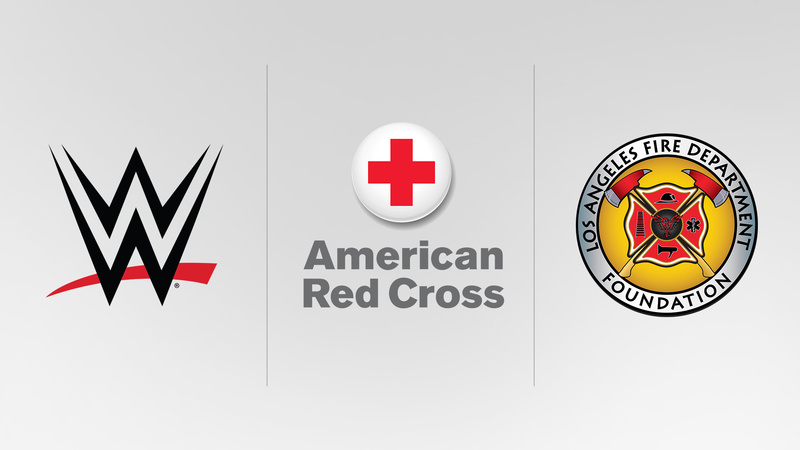 WWE is supporting the American Red Cross and LA Fire Department Foundation. Please visit redcross.org or SupportLAFD.org for more information on how you can help. Alexa Bliss and No Way Jose joined the Los Angeles Kings at Los Angeles Regional Food Bank during Survivor Series Weekend.